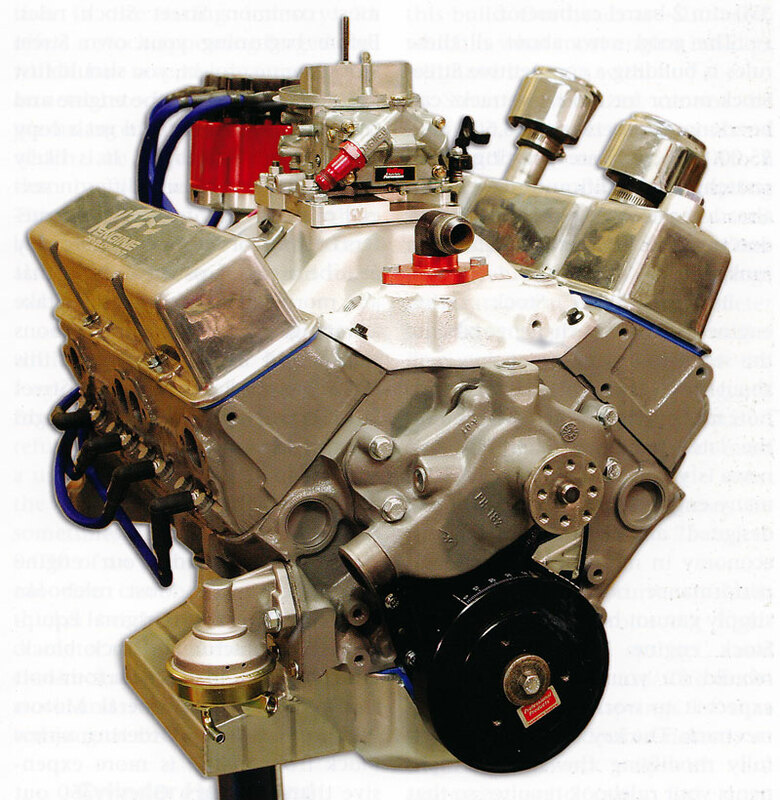 Some of the best engine mods around are found in circle track racing engines that are required to build strong midrange and top end power teamed with exceptional durability and in many cases a conscientious budget. 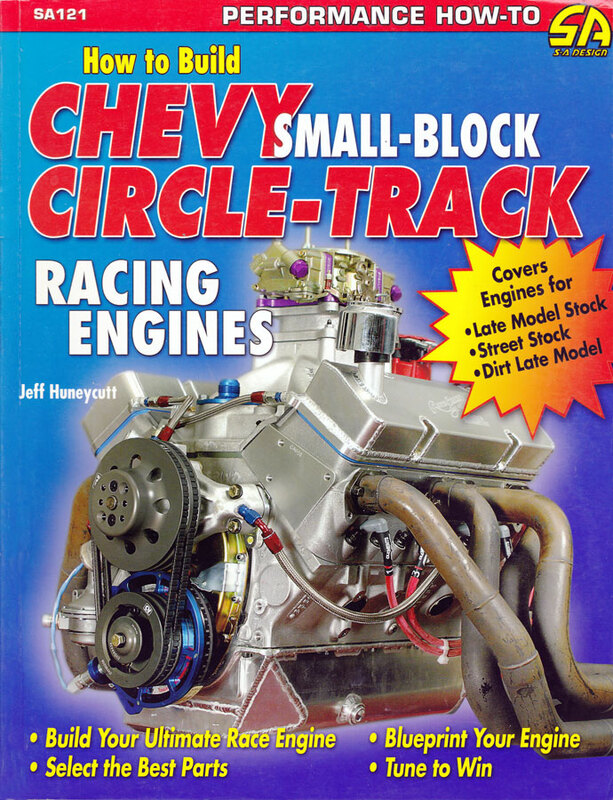 Circle Track Magazine technical editor Jeff Huneycutt has got all the particulars and he presents them here in three complete engine builds plus a detailed analysis of basic short block preparation, cylinder head and valvetrain setup and the specifics of camshaft selection and set up for maximum performance in any type of circle track racing environment. He begins with setting up shop and all the tools necessary to properly machine, measure and assemble a competition engine. 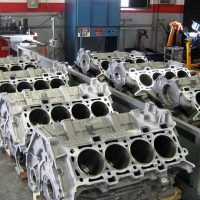 There are not as many as you might expect, but every tool is critical to completing an accurate and reliable engine assembly. 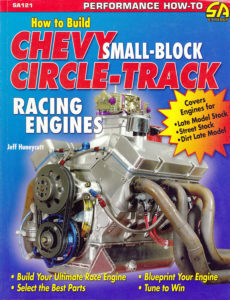 Next, he tackles the basic block prep steps revealing numerous tips and tricks used by circle track builders to extract more performance and build durability into their racing engines; things like straightening and repositioning the lifter bores, polishing the oil gallery passages and checking camshaft to crank centerline distance and orientation. You know, stuff you never thought of before. 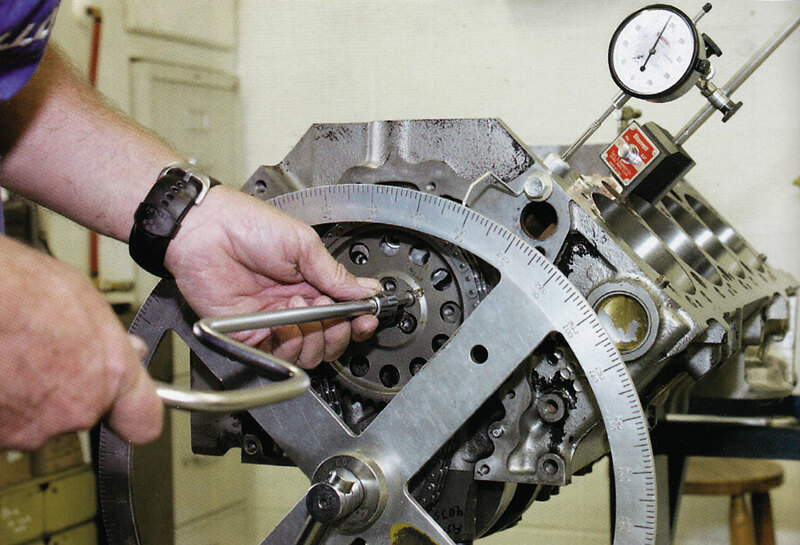 In the short block assembly chapter he delivers the secrets of crankshaft journal size selection for minimal friction, rod bolt stretch measuring techniques, piston to wall clearance, trick coatings, balancing and overbalancing and pro tips like selective ring tensioning for every cylinder. Cool stuff to be sure and certainly some of the nitty-gritty secrets of hard-charging circle track engines. 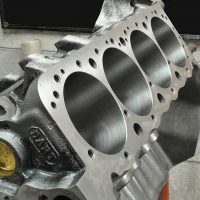 Once you’ve absorbed all the special techniques of giant killer short block building, Huneycutt moves on to cylinder head and valvetrain prep revealing all the factors that affect accurate and reliable valve train operation in a severe service environment. 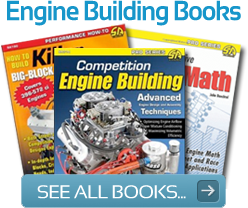 This section is quite extensive with detailed information on valvetrain setup, spring preparation, pushrod length tricks and the specifics of shaft mounted rocker setups; all very important to making big power with rock-solid reliability. 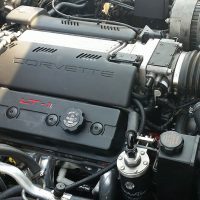 There is also a detailed explanation of camshaft timing and setup methods, piston to valve clearance and other essential clearances that ensure a peaceful relationship between all the rapidly moving parts. 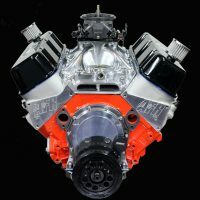 With all this basic engine building knowledge assembled in one sport, the readers are prepped to see how it all applies to three very different circle track racing engines, including all the tips and tricks particular to each application. First up is a basic 320 HP Street Stock buildup based largely on blueprinted stock components assembled with care and concentration on the few things that are allowed under the rules. Some of the things you learn here can easily be applied to street engines under the right circumstances. This build concentrates on effective blueprinting techniques and mods to increase durability. 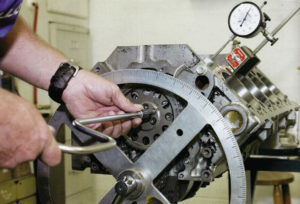 Proper clearances and assembly techniques are stressed. 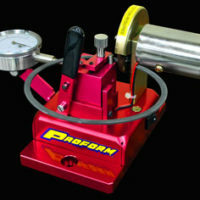 A complete spec sheet and dyno chart are provided to illustrate results. 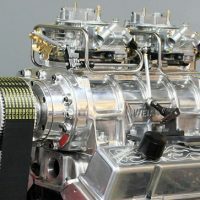 The next build is a Keith Dorton built 400 HP NASCAR Late Model Stock engine limited by a requirement to use a two-barrel carburetor. 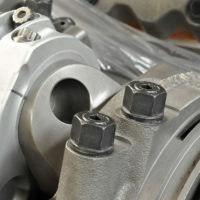 The rules still call for a wet sump oiling system, but they permit specialized racing pistons, forged cranks, and superior connecting rods. 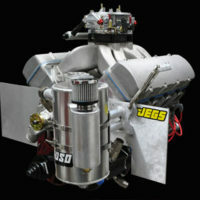 A lot of effort goes into freeing up power in the short block via friction reduction and proper component alignment. 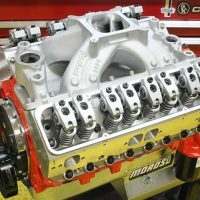 Dorton reveals some of his tricks for advanced engine prep and assembly and shows readers how to set these babies up for strong reliable power. 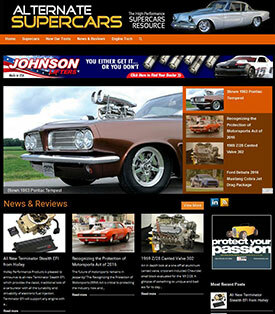 The final buildup is a 434ci, 14.5:1 CR Dirt Late Model monster boasting 850 HP. This is an aluminum Chevrolet SB2 based small block with canted valve heads and all the best parts. Here you’ find subtle tricks like varying the main stud torque by up to ten foot-pounds or more to fine tune bearing clearances. 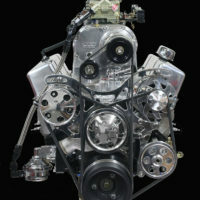 The pistons are gas ported and all the tricks are presented for the reader to digest. For example, a Scotch-Brite pad is used to scrub every surface of each piston to ensure there are no sharp spots that can cause detonation or mechanical distress. Hunnicutt's photography is first rate and he presents the information in a manner clearly borne of a knowledgeable experienced automotive journalist with exceptional mastery of the subject matter. This is five-star information and well worth the price.